It takes courage to go with your gut, muster up the nerve to follow your passion and make a major career change. That’s exactly what Irma Jauregui did in 2005, when she quit her job as a first grade teacher in the underserved neighborhood of Compton, California to pursue a dream she’d had since college to work in design or construction. After double-majoring in architecture and Spanish at Wellesley College, Jauregui became equally interested in teaching, and went on to earn her master’s from Loyola Marymount University in education. Growing up in an underserved community in East Los Angeles, Jauregui chose to teach in a similar area, where there was a shortage of teachers. Setting the groundwork for students to be successful throughout the rest of their educational and professional careers was her way to give back to the community, and helping talented students create better lives for themselves was her greatest reward. “Teaching is a selfless career; you give so much of yourself to your students. For me, the design and construction industry was always in the back of my mind as my own personal interest and passion. If I didn’t explore it, I knew I would have regretted it,” she said. The transition between two very different industries was bridged by her first project: a large expansion and renovation of a community college, as Jauregui connects especially with buildings that will become spaces for learning and educating the next generation. She joined DPR in 2015, attracted to the entrepreneurial culture where people with diverse skillsets and expertise could make a difference with their ideas and hard work. The team of smart people with strong values appreciated different backgrounds and experiences–and saw her first career in education as an asset, not a drawback. As a project manager based out of DPR’s Newport Beach office, Jauregui now manages cost control on a 73-acre corporate campus project in Irvine, California, completing in January 2018. In both fields of education and construction, proper planning and always keeping sight of priorities is crucial to success. 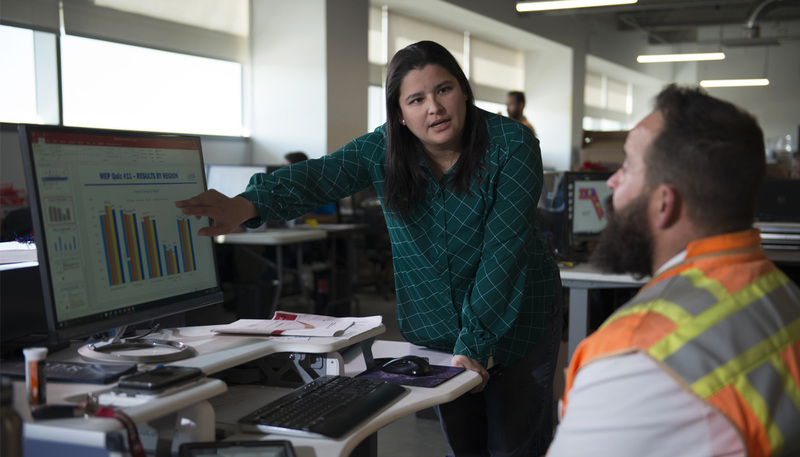 Jauregui boils down both of her careers to helping people reach their goals, whether it is a first grader learning to read, or a large technology client building a corporate campus as safely and efficiently as possible. 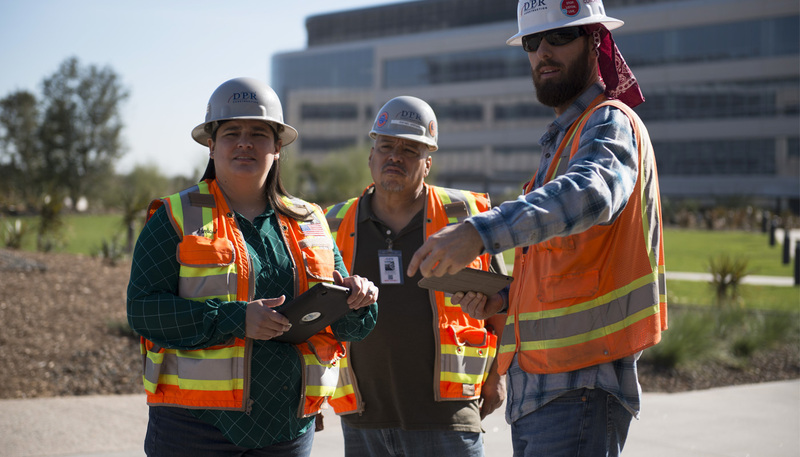 This summer, as part of DPR’s pilot Build Up high school internship program, which offers under-resourced yet highly qualified high school students interested in STEM careers real-life professional experience on a jobsite, Jauregui mentored high school graduate Jessica Reynoso. Reynoso, now a freshman at California State University, Fullerton, grew up in the same East LA neighborhood as Jauregui and even graduated from the same high school. 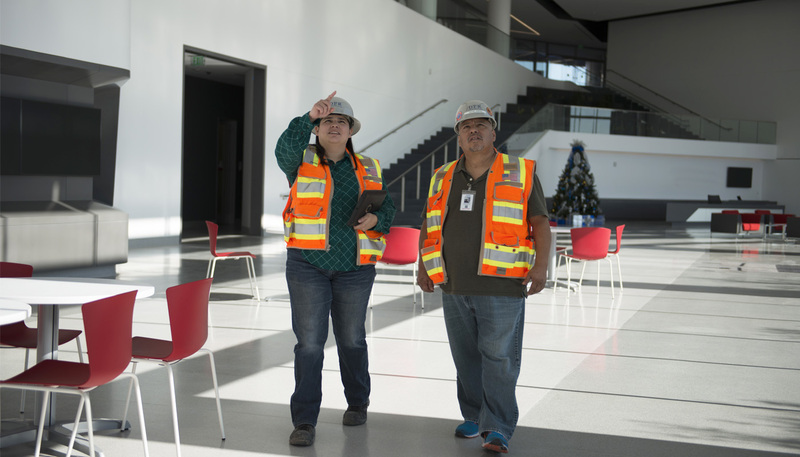 Seeing Reynoso’s passion, grit and determination to succeed in a civil engineering career despite challenging circumstances, is what motivates Jauregui the most. As Reynoso’s primary mentor, the two frequently talked about career paths, goals and life. The most important advice Jauregui gave her intern was to take care of herself. Jauregui’s favorite part of being an educator was constantly teaching, learning and growing, something she finds at DPR as well. She has opportunities to teach, mentor and help others achieve their goals, while feeling constantly challenged to grow her expertise in DPR’s culture of continuous learning. 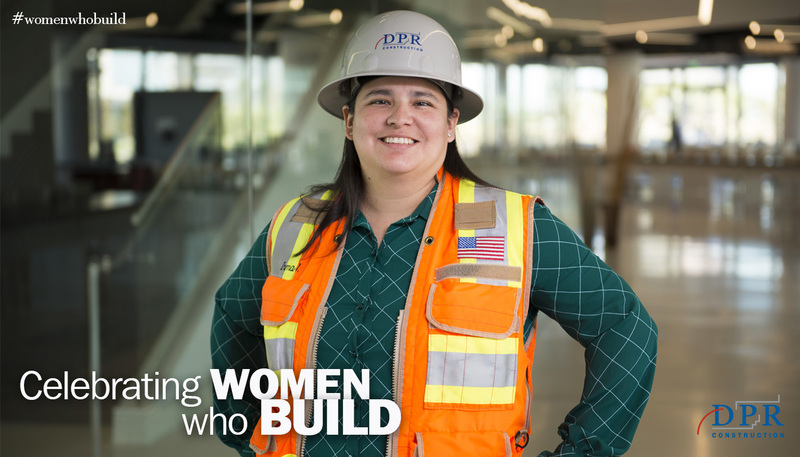 She looks back on the moment she decided to make the leap from education to construction with no regrets, and wants to help others overcome their fear of change or failure when they find their career calling their attention. It takes courage to pursue a dream–and she has more than enough of that to share.